Most website owners know that quality product images can have a major impact on e-commerce store sales. However, many websites still take their photos for granted. Not understanding exactly how to get the most from your product images can seriously impact your bottom line. Today, let’s chat about how to improve sales and engagement with six quick tips to improve your sales through better product images. One way to do this is to show different instances of product variation while highlighting specific details or features of the product. For example, if you have a scarf or a sweater with an interesting shape or design, be sure to have different images that demonstrate all the ways it can be worn. If the product has an interesting texture, be sure to demonstrate that texture in ways your customers can appreciate. This can be done with the use of smart hover effects such as allowing your visitor to zoom in on the product for a closer look. When your product images have hover effects, it has the potential to change the user experience favorably. For example, a Category page that is static does not encourage or stimulate much activity from the user, no matter how many products you might have on the page. By adding the hover effect to display product information or multiple views, you can stimulate curiosity in the users, giving them more content to digest, in a more engaging and interesting way. You might need to hire a web design firm for this, but keep in mind that users are looking for buttons like “Quick View” and are more likely to click on them wherever they are available. To take this further, having related products, options, add-ons, or an “Add-to-Cart” button appear upon hovering over the image is very helpful for your visitors, facilitating their shopping experience and saving valuable time. Product images typically just feature the item by itself, or in a cluster, if it comes in multiples, such as a can of soda. Other times, the item is depicted in a functional sense, such as a food processor with actual fruit or ingredients inside. These are reliable, safe ways to illustrate a product, but designers can take things further. Imagine a bottle of scotch superimposed on a background image of the English countryside, with rolling hills, a river and trees. Now the product is much more interesting. There does not need to be many colors or high detail in the background. In fact, a monochrome image, or at least less obtrusive colors work best because the main focus should be the product itself. While you are building your website, always keep in mind that simplicity is key. The environment-like background just needs to add some texture and subtle information about the origin of the product, without spelling it out for the user. For showcasing your products, you can use hover effects to allow your website visitors to see the items in close-up frames. This is especially useful for furniture, cars, or other items that have complicated or intricate design details. Further, this effect is especially useful for high-quality products, as you can emphasize the most flattering, impressive, or aesthetically appealing elements of the product. This gives you plenty of creative leeways to use interesting camera angles and composition for photos that make the viewer more interested in buying the product. Simply have the client hover the pointer over any part of the image, and the image can zoom in for a closer look, or transition to a separate close-up or high-resolution image. You can further supplement this experience with different angles to give viewers a better understanding of construction, craftsmanship, texture, surface materials, and other elements that can guide their purchase decision on whether the product is exactly the one they need. A vast majority of online shoppers report that videos about the products can help out the decision-making process to result in an actual purchase. Meanwhile, the majority of marketing campaigns still do not use video, although this type of content often yields the best return on investment. Not surprisingly, the average Internet user spends more time on websites with videos than on those without this type of content. As far as implementing product overview videos, you can include them as part of the product’s photo gallery, or make it the first piece of content that the users get to see when they click on an item they are interested in. Videos can take a lot of time to film and produce, and hiring a professional may be an expensive undertaking. However, you can get around this by allowing your users to submit their own product overview videos to your online store. Whether you choose to offer incentives such as future discounts, bonus points towards shopping credits, or other rewards is entirely up to you. Product reviews are highly engaging user-generated content, and are also the most common types of content found on online retailer websites. Simply having a platform for your customers to voice their opinions about your products can give your online store credibility and increase your conversion rate. 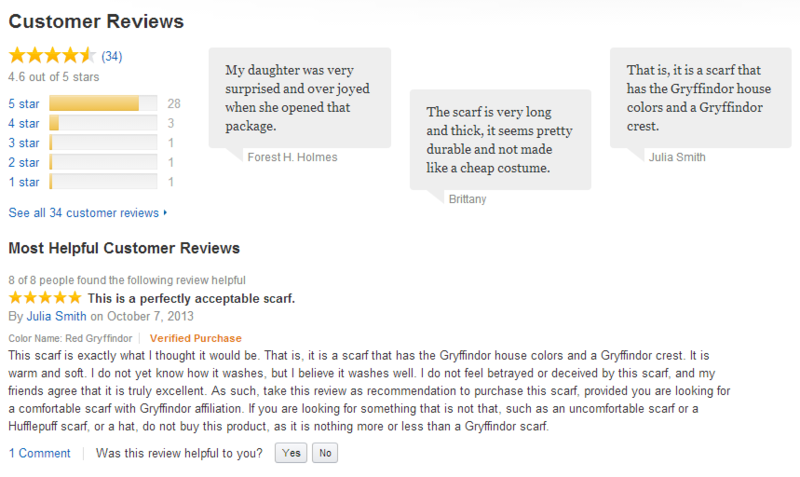 User-generated content does not stop at product reviews, however. You can allow your users to post images of the item in their hands, or even submit product overview videos (see the last point above) so that more shoppers like them can gain an accurate impression on how to use your products. Additionally, you can collect and post photos, videos and other content from social media platforms and publish them on your online store. User-generated content makes the online shopping experience more tactile by allowing users to engage, and this means better conversions, sales, and satisfaction. Incorporating these simple design tactics, along with minimalistic design, can have drastic impacts on your business. Customers like being able to experience the products before they commit to buying them. How have these tips worked out for you? Let me know by leaving a comment below. Alex Jasin is the Founder and CEO of X3 Digital, a Google Certified digital marketing and design agency. He helps companies increase revenue through paid search, SEO, mobile apps, web design, content marketing, and branding. Alex also serves as a consultant for Ai Media Group, a prominent digital marketing agency in New York, working with Fortune 500 clients such as Intel, Allstate and Wells Fargo. Alex is the Founder and CEO of Metapress, and has previously been featured on Business Journal, Fox TV, Sun Sentinel and Miami Herald. Connect with Alex Jasin on Twitter, Google+ and LinkedIn.